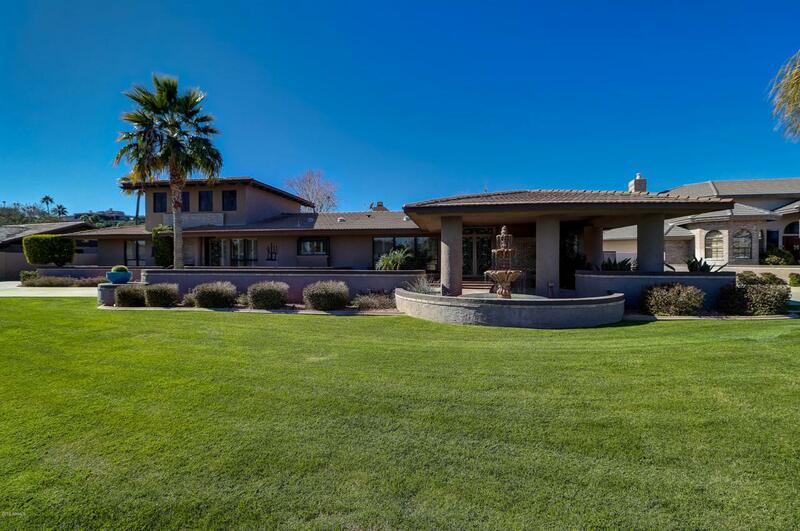 Classic Moon Valley residence. Sprawling across nearly a half acre of manicured resort living. Stately circle drive with canopied covered entrance provides a welcoming first impression. 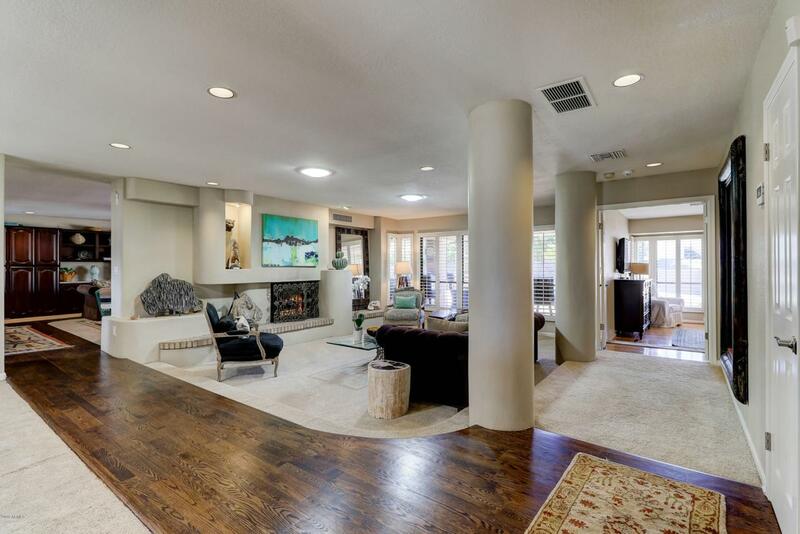 Enter into a relaxing atmosphere with warm tones, wood floors, sunken living area & fireplace. 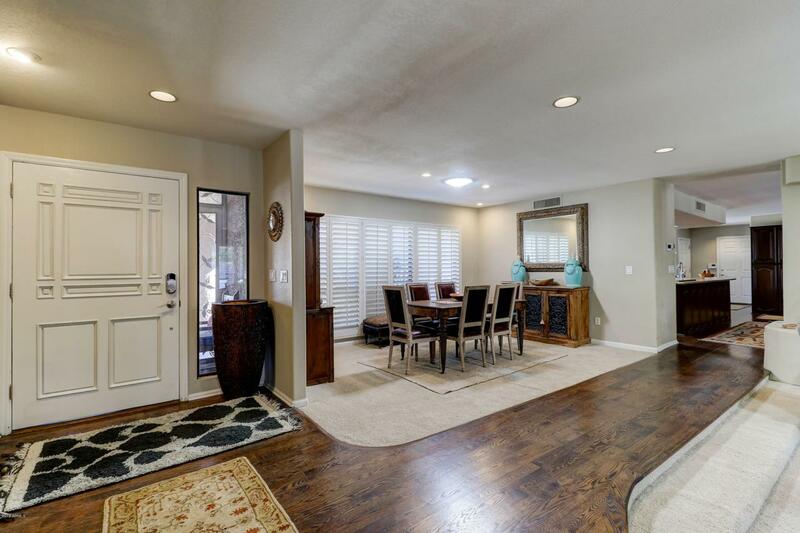 Room to entertain featuring spacious dining room, gourmet kitchen & cozy fireplace centered family room, all with easy access to outdoor pool, grilling area & roof top deck. Split floor plan provides supreme privacy to master bedroom suite complete with snail glass block shower, separate tub & ample closet space. On the other side are a huge window flanked laundry, additional bedrooms & access to upper level studio. Lastly off the kitchen & breakfast area is stairs to the basement bonus space.